Imagine you want to make a new friend (in the real world and not by poking someone on Facebook) now think how you would go about it. The most logical way would be to sit down and try to understand the person, his or her likes and dislikes, beliefs and thoughts –basically try to find a common thread and then build on it. The process is not very different for brands and how they build relationships with their consumers. There was a time when marketing was all about communicating how big your stick is when compared to that of your competitor. But today, that kind of communication will only get you so far. It then becomes imperative for brands to have meaningful conversations with their consumers. Recently, Heineken came out with a film ‘Worlds Apart’ as a part of its ‘Open Your World’ campaign. Created by Publicis London, the film saw the brand bring together two people with opposing views and beliefs and create an environment where they could get to know each other and their world views better. Bringing this campaign to the Indian market, the brewer launched its ‘Generations Apart’ campaign. The campaign intends to address the parent-child communication gap and encourage families to have open conversations. “About two years ago, Heineken embarked on a project to make their international communication more relevant for a few countries. The three countries chosen for the first stage were the UK, France and India. In UK, we came up with the ‘Worlds Apart’ film when Brexit was happening and in France we did something during the national elections. In India, we decided that we wanted to address a communication gap of a different kind. We decided to encourage people to talk to each other to resolve their differences,” said Samar Singh Sheikhawat, Senior Vice-President (Marketing), United Breweries Limited. But arriving at this crucial insight wasn’t easy. The brand started working towards the idea as early as November 2016. For over a year, the brand conducted workshops, did market visits, spoke to consumers and studied the history of Heineken’s advertising across the globe to see what had worked for the brand and what hadn’t. Heineken was very clear about the fact that it did not want to be political or claim that the brand was a solution to a particular problem. The idea was beautiful in its subtleness and this is something that brands are increasingly doing when it comes to their marketing and communication efforts. Take for example, Ariel’s widely successful ‘Share The Load’ campaign or Pampers’ ‘It Takes Two’ campaign or Vodafone’s ‘Look Up’ campaign. These are not sweeping social issues that one would find with a cursory glance at the Indian society; these take research and a deep understanding of the country, culture and its people. These are ideas that dare to step into the consumer’s personal space and suggest a change on an individual level. According to Anil S Nair, CEO and Managing Partner, Law & Kenneth Saatchi & Saatchi, India, brands can no longer proposition the customers with claims in today’s information-heavy world. “Thanks to the advent of technology and other factors, there is a significant amount of real-time information that files between businesses and consumers. So, in such a world you can no longer proposition the consumer with claims like washes-whitest or cleans-fastest. Also, brands have always believed in the concept of USP (unique selling proposition). Today, it is a long gone thing because nobody is there to be propositioned,” said Nair. Consumers today want brands to play a bigger role in their lives and want them to engage in communication that goes beyond the normal transactional nature. “There is something called a transactional approach and a personal relationship approach. In the personal relationship approach you do not proposition customers but you genuinely connect with them based on certain core values. You will have a longer relationship with someone you share a common belief, ideas or principles with,” said Nair. While India is a fertile ground for social issues, a brand cannot simply spin the wheel and choose the first issue that the arrow points at. As a brand you might strongly feel about the ‘save the tiger’ cause but is the issue relevant to your brand and your customers? A brand has to consider not just what their consumers believe in but also if they are in a position to deliver on that belief. “Relevant things when originally said will create impact. This is called relevance originality impact. Just because a topic is relevant to your brand and your customer doesn’t mean you will create impact. It is possible that someone else might own that space,” explained Nair. A good example of this would be to consider the recent avalanche of women-centric communication. Every brand today wants to be the champion of women’s issues. While, women’s issues might be a relevant topic for you and your consumer, the space is simply overcrowded and everything merges into each other after sometime. Another point brands must keep in mind is execution. When dealing with a topic that goes beyond a seller-consumer stance, brands have to ensure that the communication at least looks authentic. “You can’t be pretentious when it comes to such kind of communication. So, in our film there isn’t a single actor other than the father, who, Rudy Singh explains in the end, is camera shy. Although the main protagonist, Rudy Singh, is a professional stand-up comedian, he is telling his own life story. The entire film is shot in one take, with multiple cameras of course. It was like shooting a live show and you can see that the reactions have been overwhelming,” said Sheikhawat. One also has to refrain from sounding preachy. “The issues that a brand chooses to take up must reflect the brand’s values and DNA. The execution must strike a balance between being impactful without sounding preachy,” said Kiran Anthony, Executive Creative Director, Ogilvy Mumbai. Such type of communication is not for someone looking for short-term results. Brands or brand custodians have to be invested in the idea, the cause and the future of the brand to embark on something like this. “Not every brand will have the patience to do this kind of communication. With the kind of pressures and numbers that marketers have to deal with, it might not be for everybody. Even this campaign will be a slow burn. It is not going to triple the sales of Heineken overnight but if we consistently do this, it will build a far stronger and lasting relationship with our consumer,” said Sheikhawat. Relationships take time to build and efforts need to be put into maintaining the same. You can’t introduce an issue today and then move onto the next one tomorrow. “While the absolute measure for brands will still be sales and market share, the way to get to that outcome would be to create preference (for the brand) and preference is increasing coming through purpose. All relationships, whether they are human or brand relationships, are essentially long term and they need to be sustainable over the long term. There are no shortcuts. The way one has to earn love and trust on a daily basis in a human relationship, the same is true for brands as well,” said Siddharth Banerjee, Executive Vice-President, Marketing, Vodafone India. While this is in no way a new trend, it surely is something brands are increasing wanting to try their hands at. An old hand at advertising, K V Sridhar, Founder, Hyper Collective, talks about how good advertising has always been about good insights. “Good advertising always reflects the socio-cultural reality of a place at that particular time. Take for example the brand Thums Up. If you look at Thums Up’s advertising before the ’90s, you will see that the protagonist in the ad was always bashing up people. But the advertising changed as times changed. When you look at the bungee jumping commercial, you can see that the protagonist is not a macho, muscular guy, he has a swimmer’s body and he is not doing bungee jumping to impress girls, he is doing it for himself. 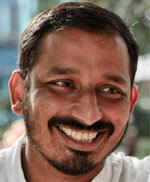 Such changes only come when one observes the changes in society,” said Sridhar. Technology and millennials have given a push to insight-driven messaging and communication. The culture of virality has also helped the cause. “Thanks to the spread of social media, people today are socially aware. They are willing to debate and discuss a wide range of topics. People forward and share what they truly care about, which is why messaging that takes a strong stance gets shared more often and is more visible today. It’s not a new approach but it has, however, gained momentum in the recent years with an increase in smartphones, affordable mobile data and increased social media adoption,” said Anthony. Where does the real risk lie? One cannot escape the fact that this kind of approach could easily backfire too. Take the Pepsi Kendall Jenner ad for example, while the heart of the message must have been in the right place, the execution did not sit well with people and the backlash was instantaneous. Whereas, when it comes to the transactional approach there is a very narrow possibility of riling feathers. But Nair believes that not taking this risk is probably a bigger risk. “Anything or any idea that is bold will find critics but if it is the right thing to do and essentially fits into what the brand is all about then it works. If you look at our brand world, it is all about caring. So, whether it is our zoozoos or our pug, everything works on the ‘Happy to help’ idea. The ‘Look Up’ campaign is also an extension of that same approach. We are simply saying that while you make your phones calls and use internet daily, when you are with your loved ones on certain high-stakes occasions put your phone down and look up,” said Banerjee. So, is this the future? Certainly looks that way. Heineken already has more ideas revolving around its ‘Open your world’ approach that they are looking to build on in the future. The ‘Look Up’ campaign has been such a phenomenal success for Vodafone that there are talks about taking it up globally.